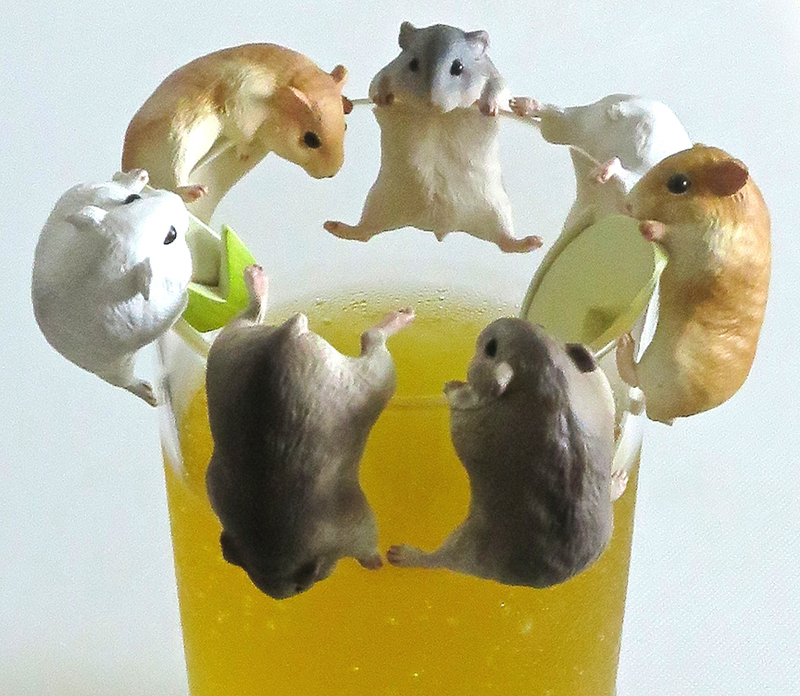 Home » Animals » Help, There’s A Hamster In My Drink! 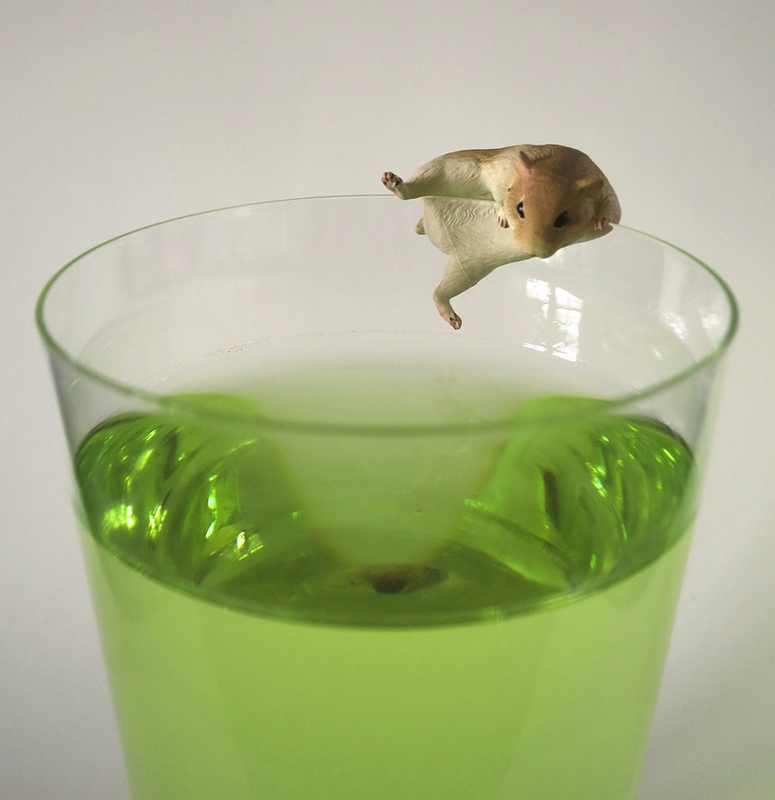 Help, There’s A Hamster In My Drink! Lately in Japan there’s been an explosion of vending machines selling little characters that perch on the side of your glass, so you never have to drink alone. 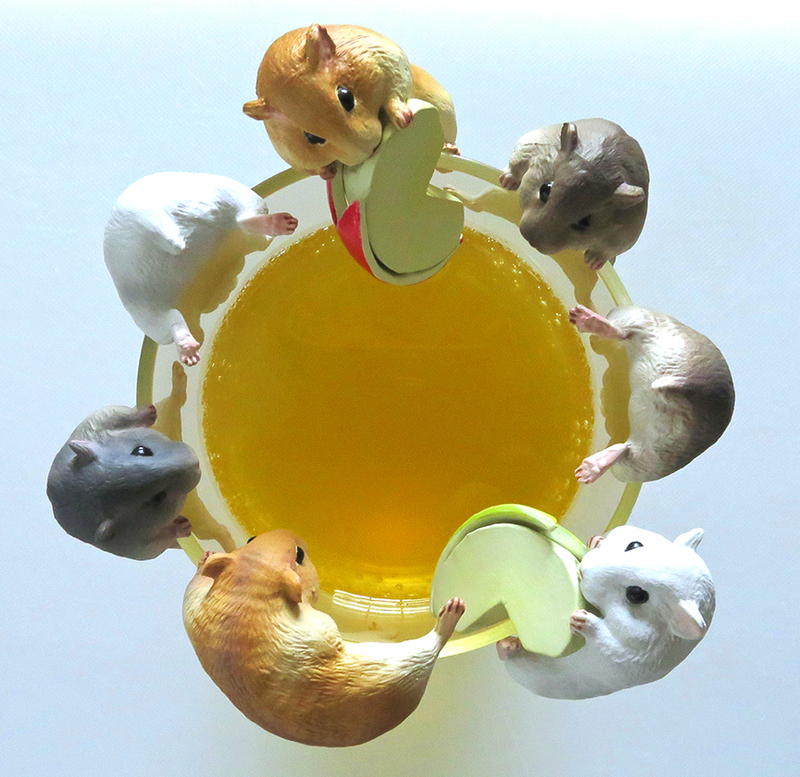 But none of them has been nearly as cute as HAMSTERS. …but once you get used to the idea of sharing your libation with a plastic rodent, you’ll never want to hoist a cold one without it! Another thing on my ‘must get from vending machine’ while there list…. You’re doomed. Because there will be even more NEW CUTE ONES by the time you get there! where’s the best collection of cute vending machines?? Excellent question! There’s a reliable bank of them on the toy floor of Yodabashi camera next to Akihabara Station, and there are good ones on every floor of the Radio Kaikan building near the Electric Town exit. There’s another good bunch outside the game center near Tokyu Hands in Shibuya (you walk right past it on the right hand side coming from Shibuya Station). Another favorite stalking spot is outside the Village Vanguard in Shimo-kitazawa (that’s where I found the hamsters). The toy floor of the Tokyu Hands in Ikebukuro also has a bunch of cute ones.